Blog Thomas Hope Settee delights at Deepdene! Our settee, an accurate copy of an original design by Thomas Hope, will proudly sit in the Hope family mausoleum, which is one of the highlights of the trail. Huge care has been taken to restore the glorious Neo-Grecian tomb, which is even more special as it is the only surviving complete structure built by Thomas Hope. 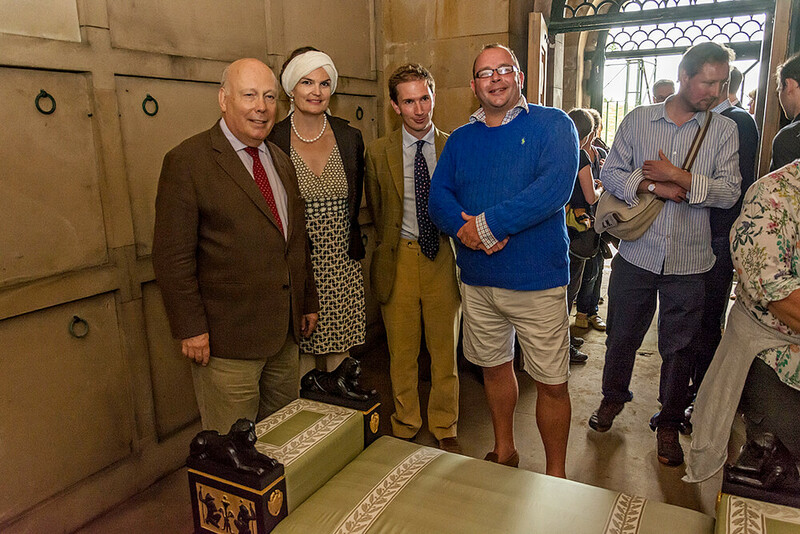 We were thrilled to have the excellent company of Lord Julian Fellowes of West Stafford, a supporter the Deepdene project. It was also exciting to see so many visitors brave the rain to enjoy walks through the heart of the trail and step inside Thomas Hope’s magnificent mausoleum to admire our newly installed Thomas Hope Settee. 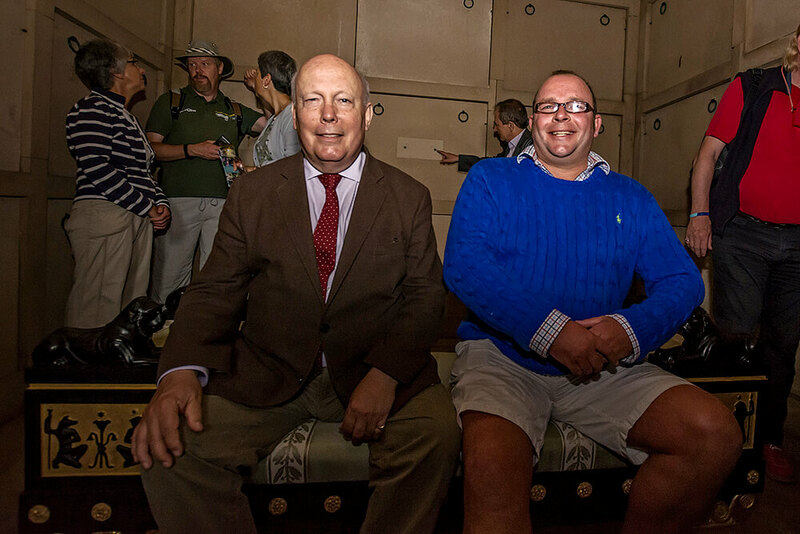 Lord Fellowes and I posed for photographs on the settee – see image of us looking like a couple of naughty school boys! Mole Valley District Council has done a fabulous job re-linking and repaired the Deepdene Estate and enabling visitors to enjoy the trail and learn more about the life and legendary work of Thomas Hope.